Do I have this story right? So many times, in the course of research, I get these odd little pieces of information, and it is my job to try and get them to fit together. Here is another example. My question to you is this: do I have this story right? In the 1860 Watauga County Census, in the Boone District, family group 179, we have Jonathan Horton, age 24, son of Phineas Horton and Rebecca Councill Horton (this is a distant cousin of mine). In the NC Troop books (volume 14), we have Jonathan F. Horton. His record reads: "Born in Yancey County and was by occupation a farmer prior to enlisting at the age of 22. Elected 1st Lieutenant on May 29, 1862. Promoted to Captain on July 29, 1862 [of Company C, 58th North Carolina Troops]. Detailed for twenty days on October 27, 1862, to go home for clothing for his company. Resigned on May 16, 1863, because of 'chronic bronchitis with great debility" which had rendered him 'unable for duty for the last six months...'"
According to the Heritage of Watauga County, Volume 1, we learn that Jonathan Horton served as adjutant for Col. J. B. Palmer in the battle of Missionary Ridge. Died of brain fever in 1863 at Dalton, Georgia. Buried on parents property [assumed in Watauga County]. Well, we know that Colonel Palmer was not at Missionary Ridge. Considering that, do you think we are talking about the same person? During the Battle of Spotsylvania Courthouse on May 12, 1864, a Union soldier ripped the battle flag of the 1st Regiment North Carolina State Troops from its staff during hand-to-hand combat with the color-bearer. The flag's missing left border attests to the ferocious fighting in the Virginia battle. This historic banner is part of the Confederate flag collection, one of the nation's largest, at the North Carolina Museum of History in Raleigh. Conservation of these banners requires expensive, specialized textile treatment. 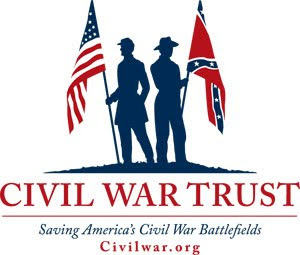 To help fund this need, the museum has formed a partnership with the 26th Regiment North Carolina Troops, Reactivated, the state's largest Civil War re-enactment group. During a Jan. 19 presentation at the Museum of History, the 26th Regiment unveiled the newly conserved colors of the 1st Regiment North Carolina State Troops. This represents the seventh flag the organization has helped conserve for the museum. "This flag is a silent witness of one of the most horrific days of battle in the Civil War, but it has not been seen by the public for nearly 100 years," said Jackson Marshall, Associate Director of the Museum of History. "Once again, the museum owes a debt of gratitude to the 26th Regiment members for donating the funds needed to conserve and exhibit the flag." Organized in Warrenton, the 1st Regiment participated in many of the major engagements fought by the Army of Northern Virginia. 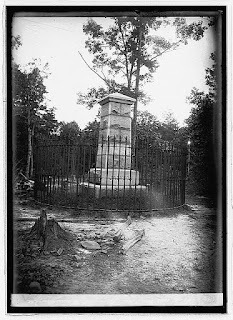 The regiment suffered enormous casualties at the Battle of Spotsylvania Courthouse. During the fighting, Pvt. George W. Harris of the Pennsylvania Volunteers seized the 1st Regiment's battle flag carried by color-bearer Sgt. John Reams of Northampton County. Harris received a Medal of Honor for his deed - Reams was captured and imprisoned in Maryland and New York until he was paroled when the war ended. The 1st Regiment's flag was sent to the U.S. War Department in Washington, D.C. It was returned to North Carolina in 1905 and generally kept in a storage vault awaiting conservation. "The 26th Regiment is proud to work with the Museum of History in its conservation efforts, and we look forward to continuing this partnership far into the future," noted Skip Smith, Colonel of the 26th Regiment. "We encourage all North Carolinians to support the museum and to share our state's history with their children." The Museum of History plans to feature the 1st Regiment flag in the exhibit gallery A Call to Arms as part of the Civil War Sesquicentennial commemoration. Adds Smith, "We hope that descendants of the 1st Regiment will come see their ancestors' battle flag when it is in the exhibit." So many times, while out gathering information (researching), I come across folks who say something like "My family really did not say anything about the war." Then they usually have one or two small stories. Well, it takes a lot of small stories to make a big story. Here is one of those small stories. 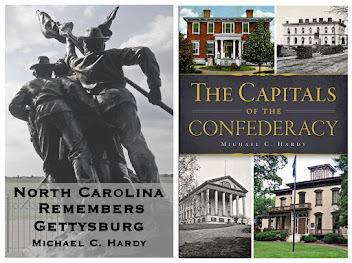 There are many areas within North Carolina that sent men to fight for both armies to fight during the War. That whole “brother versus brother” happened here. One of the questions we get a lot is this: how did those families with members on opposing sides deal with it after the war? The vast majority of the time (is 99% too high? ), we really don't know how, or if, the families reconciled their differences. While I have probably read this before, I found it again last night. This story comes from the Banner family, for whom Banner Elk is named. In 1860, Banner Elk was in Watauga County. 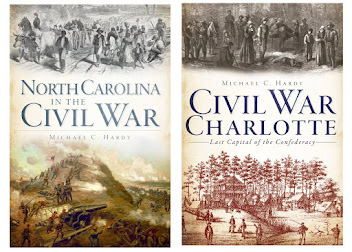 "The story has been handed down through the Banner family that Tatum [Henry T. Banner, 4th Tennessee Cavalry US], and Frank [Franklin Banner, 21st North Carolina Infantry CS] arrived home within one hour of each other, after having served on opposite sides during the Civil War conflict. They promptly got into a fight over which side was the aggressor." So, do you have a story of families getting together (or avoiding getting together, maybe) after the war? Please share, if you can. 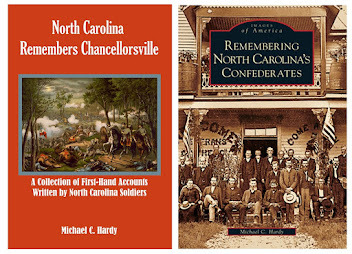 A few days ago, I finished up the North Carolina Remembers Chancellorsville project, and sent it off to the publisher. 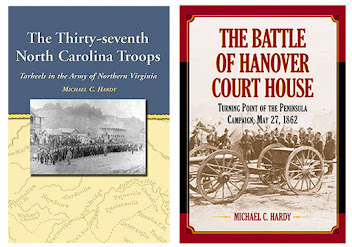 The book contains forty-four first-hand accounts written by Tar Heels soldiers who fought at the battle of Chancellorsville. I'm really looking forward to this project's being released. So what's next? 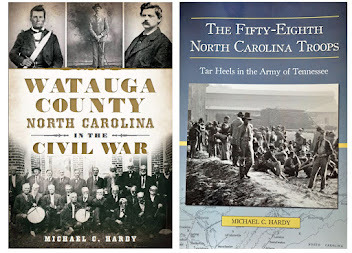 A few months back, I signed a contract with the History press to write a book about Watauga County and the Civil War. This is a project that I have been working on for close to eighteen years. The book will cover the war years, but will have something a little different. 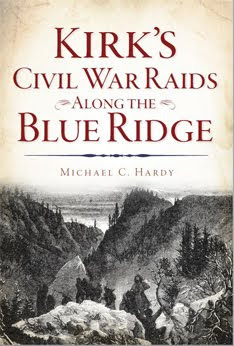 There will be a chapter looking at the experiences of Watauga County soldiers who marched away to fight in the Army of Northern Virginia and the Army of Tennessee. 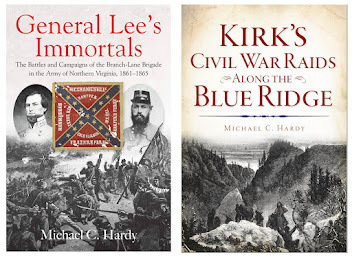 You might consider it a mini version of Wiley's The Life of Johnny Reb, but only using sources from Watauga County and thus specifically covering the experiences of these men. I have maybe a dozen letter sets, written by men from Watauga County while they were in the army. I'll probably add a few post-war stories as well. Couple this with some statistical data (which we did not get in Johnny Reb), and well, this is going where no one has gone before. At least I think it is. Well, I guess I need to go back to work, crunching those statistical numbers to include in the text. Why do I think these types of collections are important? It gives you a chance to take what the soldiers themselves wrote, and to go and stand where they stood and see what they saw. I've done this several times at Gettysburg, like with the position of the Rowan artillery on the far Confederate right, or in retracing the steps of the 11th and 26th NCT on day one. Let me encourage you to also do this. Get a copy of the book, go figure out where the regiment or battery was (there are many really good map books on the marker), and read his words. It's like having a movie right before you. As soon as I have information on publication date and ordering, I'll get it to you.